I'm not sure this invention needs to exist, but since it does, might as well get in on it. The Japanese company Nissin makes instant noodles, like Top Ramen and Cup Noodles. And they've invented a NOISE-CANCELING FORK that eliminates your slurping sounds. 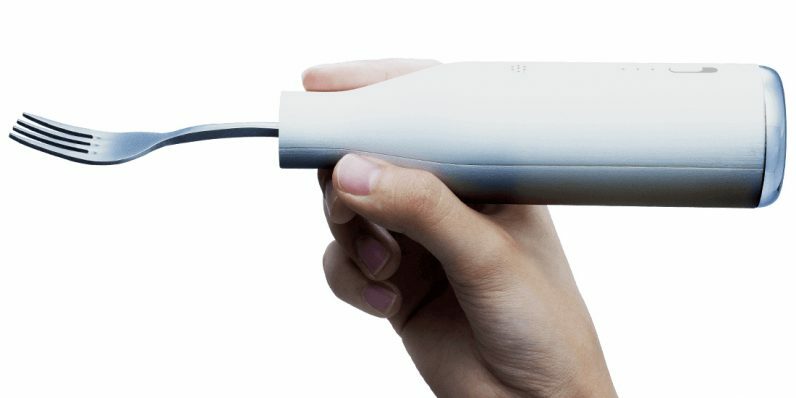 The thing looks like an electric toothbrush, but with a fork on the end instead of the brush. And when you use it, it sends a signal to an app on your smartphone to play white noise, which covers up the slurping sounds you're making. If you want one, you can pre-order it for the STUPID price of $130. Only 5,000 of them are available . . . but if they manage to sell 5,000 of THIS thing at THAT price, God bless 'em.